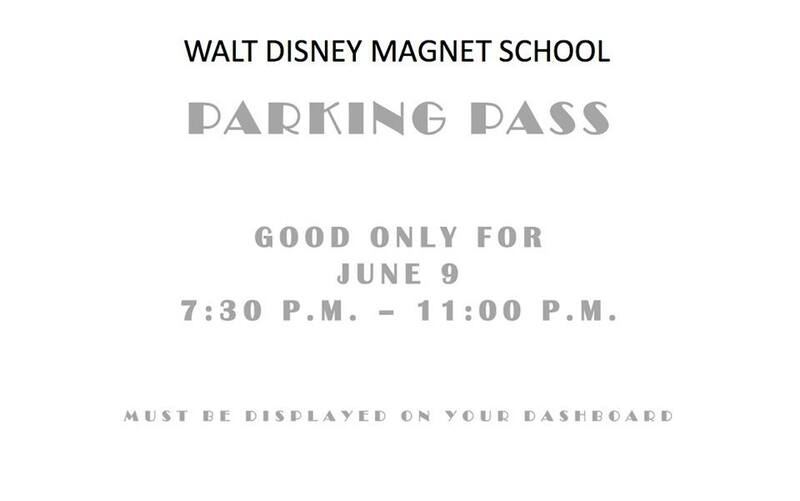 "On Friday, June 9 we will show our second annual Movie in the Park Night! It’s an outdoor movie in the field behind the school, and it's open to the public! The movie will be Rogue One. 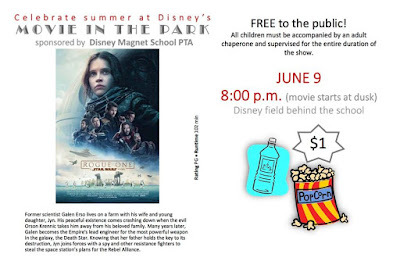 The movie is free and open to the public, but as always, all children must be accompanied by an adult chaperone and supervised for the entire duration of the show. The movie starts at dusk (approximately 8pm). Popcorn and water will be sold for $1 each. All followers of Uptown Update are invited. Please share! 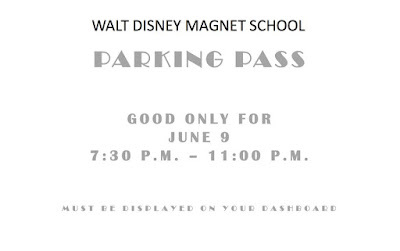 We'd love to have a BIG crowd join us at Walt Disney Magnet School." For other local movies in the park around Uptown this summer, check it out here.